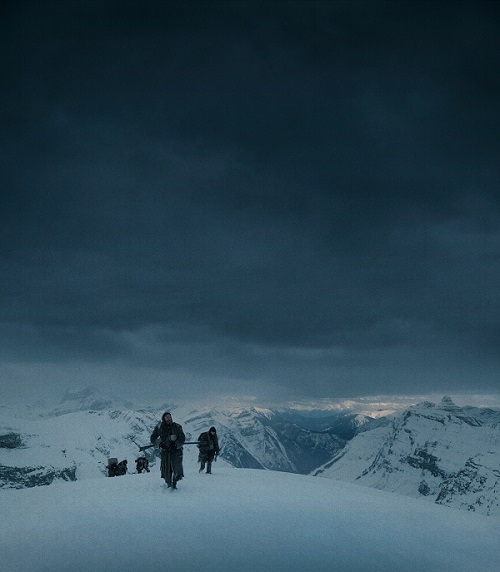 Traversing the chilly, expansive landscape of British Columbia in grizzly bear attack flick The Revenant, it is plain to see that Mexican director Alejandro Gonzales Inarritu has opened up from the infinitely more claustrophobic confines of his (predominately) backstage theatre space in last year’s acclaimed Birdman. Dour of tone and gruelling of plight - in sharp contrast to the biting satirical comedy of the aforementioned - the one thing that binds the two, and remains in place, is the panache of the tracking shots. Inarritu has opted to delve further down into the world of virtuosic visual presentation. These are fast becoming a celebrated consequence of his work with DP Emanuel Lubezki. Narratively-speaking, he also certainly appears to have moved away from the multi-strand narratives of his earlier films, such as Amores Perros (2000), 21 Grams (2003) and Babel (2006). In doing so, he is forging a second chapter in his career, and it is one that for all of its dazzling aesthetics shows no concession to quick-fix, CGI-dependent green screen bubblegum, popcorn pictures that have skewed many of his peers in Hollywood. This is a man perched on the outside looking in. The mainstream has come to him, not the other way around, and that is commendable. Based on the true story of Hugh Glass’ 19th century survival from a grizzly bear mauling in the uncharted American Frontier, he was placed in an open grave and left to die. Except, he refused to. He chose to fight. He chose to hunt down the expedition colleague who abandoned him. Glass is played by Leonardo diCaprio and it is a role that requires very little dialogue from him. Much like Tom Hanks in Castawway (perhaps even more so), DiCaprio must express through his eyes and through a lack of any human-to-human interaction. He makes a fair fist of a difficult task. Oscar talk is building. Whether this will become a reality, we will have to wait and see. Personally, this writer believes that Fassbender’s transformation in (and ‘as’) Steve Jobs is the more deserving this time around. 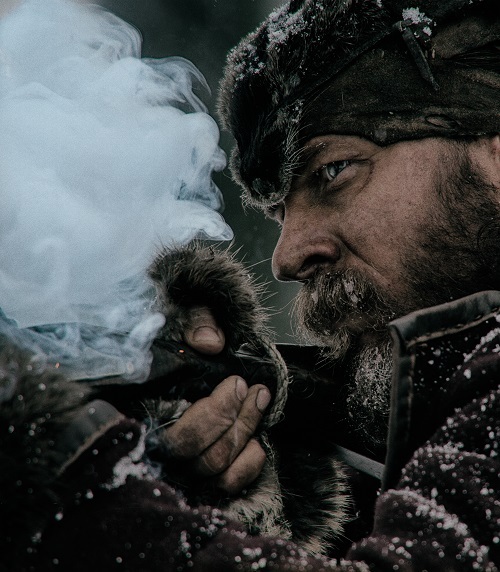 Supported by Tom Hardy and Domnhall Gleeson, the alleged chronological shooting itinerary bears testament to the improvement in Hardy’s accent as the film progresses. Initially, giggles need to be stifled at the ludicrously exaggerated diction. Thankfully, this does improve. Will Poulter is progressing as a fine talent, and Gleeson makes good on his turn. 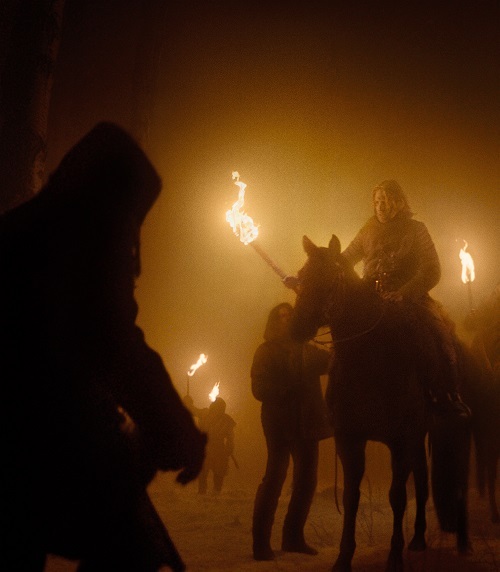 Inarritu has a history of being concerned with the themes of salvation and redemption, and this still peeks through in The Revenant. This time around, however, it is led by the Trojan Horse of revenge. He is unflinching in his depiction of the nature of things. He observes the world as a brutal and hostile host. Here, the nature of man, beast and the elements are portrayed as dispassionate executioners of selfish whim. The snow on the ground depicts a purity that does not translate to the sentient beings who trample it underfoot. There are rare flashes of compassion, but these are limited to the few, not the many. In an otherwise engrossing tale, there are some flaws. The extent of the bear attack itself stretches believability by quite a margin and there are a few other embellishments aside that are guilt of similar. When all is said and done, however, Inarritu has pitched a picture at home on the big screen. The decision to use only natural light roots the work in the grimy, visceral reality that has always been his preserve. 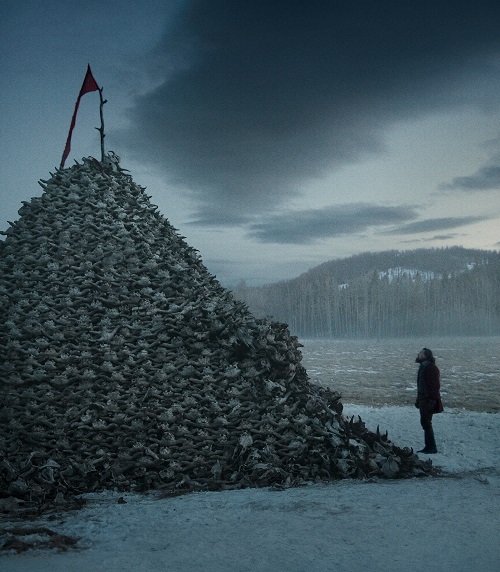 The Revenant is also for the patient, as it opts to reward investment. For those who commit, it will pay off, and maybe DiCaprio will finally bag that Oscar with his least talkie role to date. The Revenant is in cinemas from 15th January 2016.